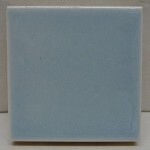 American Tile Supply is a private company and a leading supplier of tile, stone and other architectural products. Designers, building contractors, general builders and architectures, use products being offered by the company. Clarence Dowdy is the founder of the organization who established the company in 1964. First Clarence opened the store to install tones and tiles but finally decided to sell these products. The first store was started in Fort Worth of Texas and now services are being offered in different other cities of Texas like Houston, San Antonio, Dallas, Austin, etc. Products offered by the store include natural stone, porcelain and ceramic tiles, fashionable tiles for walls and floors. There are currently 0 consumer reviews about American Tile Supply available. Share your review. Please take a note that you are about to post a public review about American Tile Supply corporate office on CorporateOffice.com. This review will be public, so please do not post any of your personal information on this website. If you would like to contact the corporate offices of American Tile Supply, please use their contact information such as their phone number, website, and address listed above to contact them. However, sometimes staff from American Tile Supply headquarters do read the reviews on this website.